Visa has announced its cohort for an innovation boot-camp in Africa in partnership with Nest for early stage technology companies. The Startups will be linked to financial institutions from across Africa for potential integration and opportunities. Ten participants were selected from a strong pool of 122 applicants from 12 countries including Kenya, Uganda, Rwanda, Ghana, South Africa, Cameroon, Nigeria, Belgium, Switzerland, UK, Franca and the US who pitched their FinTech solutions to an expert panel for a spot at Visa’s first innovation boot-camp in Africa. At the boot-camp, intensive content is designed to fuel all early-stage FinTech companies with a vision to revolutionise financial services in African with financial inclusion and merchant payments being of specific focus to this programme. 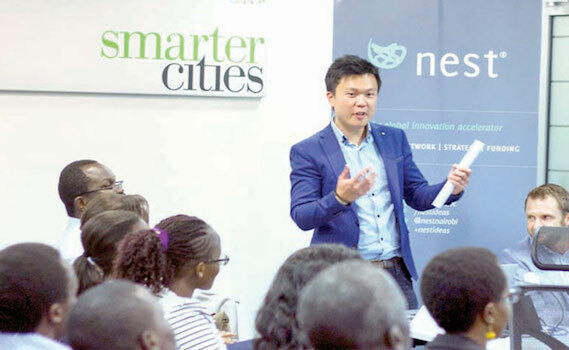 “We’re excited about helping our great corporate partners unlock the potential by working alongside startups as there are unlimited possibilities and opportunities,” said Aaron Fu, Managing Partner at Nest Africa in a statement sent to Taarifa on Friday. Founded in 2010, Nest, a Chinese venture firm invests in entrepreneurs and builds platforms to support each stage of their journey. Meanwhile, the boot-camp, Aaron Fu said, brings together marquee innovators solving critical challenges in the FinTech landscape on structured platforms for these highly promising businesses to explore partnerships with Visa and its partner bank network. They will also have one-on-one interactions with potential funders. Okhi (Kenya): Location, picture and mobile based solution to facilitate on boarding/verification process for financial institutions. 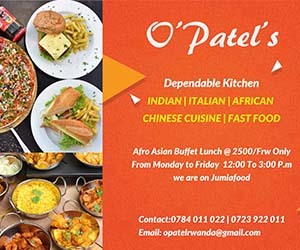 Eat Out (Kenya): A mobile based payments and rewards solution for restaurants. Kwanji (UK): Affordable & accessible FX execution platform for African SMEs. Overview Technologies (Finland): Mobile money based Personal financial management application and payments solution. Lakt (Kenya): Personal financial management and financial literacy app targeting millennials. SokoWatch (Kenya): Feature phone enabled consumer product fulfillment solution between informal retailers and large FMCG distributors. Ajala Studios (UK): Native language and speech processing application deployable within financial institutions. Data Integrated (Kenya): Mobile Point of Sale solution for SMEs. Bamba POS (Kenya): Cloud based mobile Point of Sale and inventory management solution for SMEs. Lipisha (Kenya): Value added mobile payments aggregator for businesses. The four-day event is taking place on March 24, will conclude with a Demo Day, scheduled for March 27, 2017 in Nairobi, Kenya.